Width (side to side) 36"
Depth (front to back) 36"
Case Construction Frame made with bar shaped tubular metal in blackened pewter color finish. Tops are made with planked pine veneer with cross saw distress and dark brown finish. 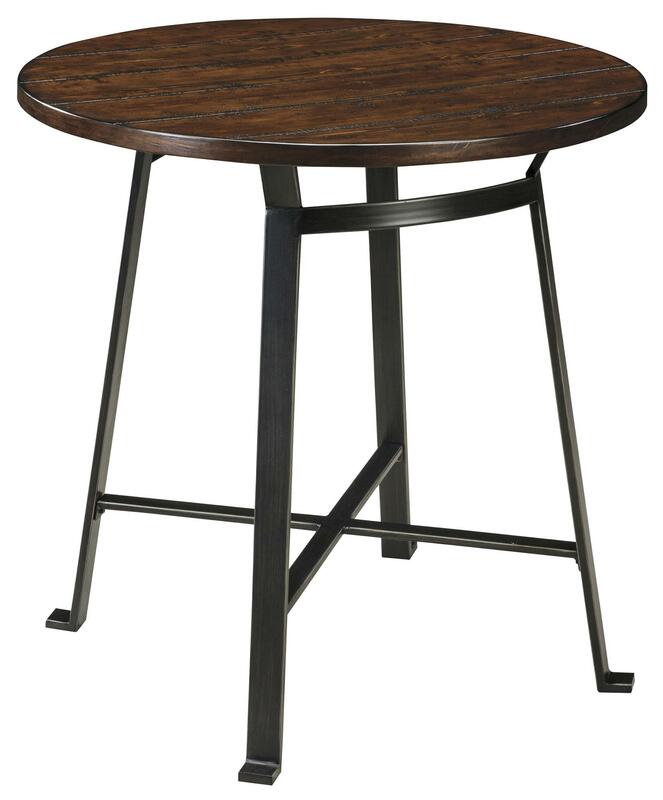 The modern industrial style of this counter table offers vintage casual design that is sure to look good in any decor. 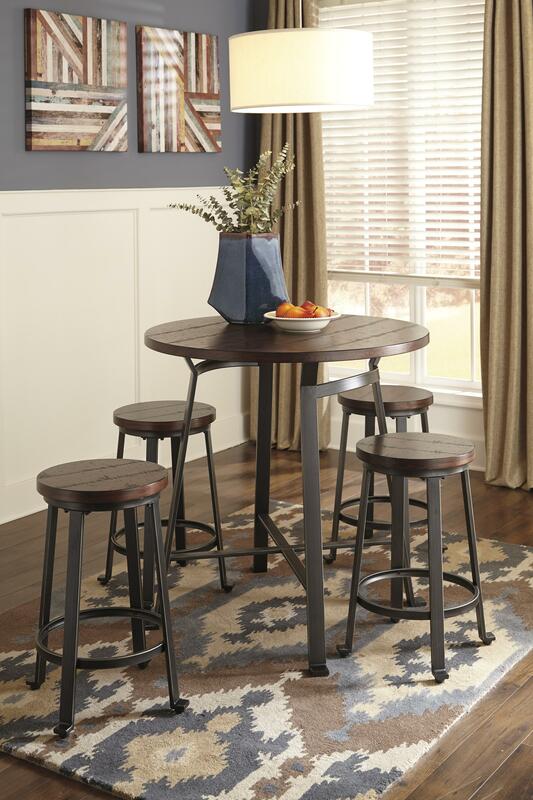 The simple appeal of the metal base complements the distressed details of the planked pine table top. 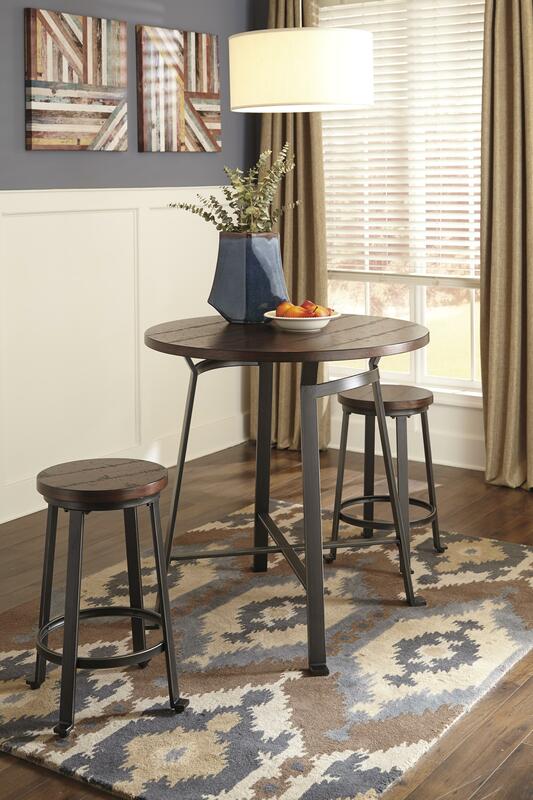 Use this table for the beginning of a table set for hosting family and friends for meals and gatherings in your home.